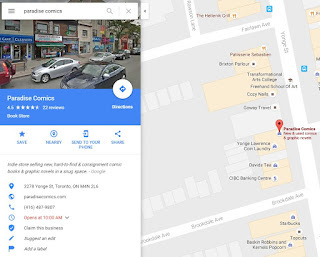 Howard Wong - Writer: Toronto Comics Anthology Signing at Paradise Comics - August 6th! 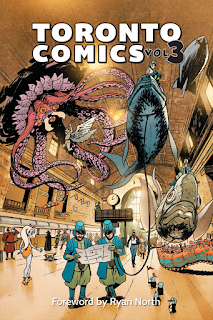 Toronto Comics Anthology Signing at Paradise Comics - August 6th! I'm going to be at Paradise Comics this Saturday, August 6th from noon to 4 pm, signing copies of Toronto Comics Anthology and whatever else you want me to deface along with other creators from this amazing anthology! The Toronto Comics Anthology is an annual showcase for the next generation of comic creators! Since 2014 we’ve launched three volumes, each bigger and better than the last, and we’re starting up our fourth book now! Volume Three features work by brand­ GTA creators as well as more experienced talents including Jason Loo (The Pitiful Human-­Lizard), Meaghan Carter ( Secret Loves of Geek Girls, Take Off! ), Howard Wong (True Patriot, Monstrosity), and many others." Howard Wong is an multi-award nominated creative consultant and writer working in animation, comic books, education, high-end collectible toys, marketing and video games. 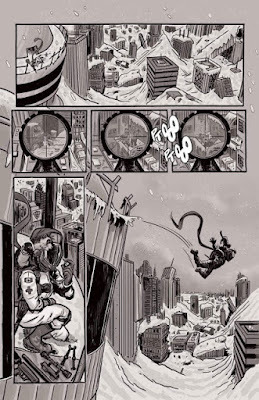 Shawn Daley is a cartoonist and chiptunist from Toronto and creator of TerraQuill, a series of short comics. When not working on comics, he composes chiptune soundtracks for independent video game developers. When not working on chiptunes, he's probably eating cereal or reading about animals. Driven from his frozen home-world of Brandon, Manitoba, Ryan wandered the world in search of excitement, enlightenment, and occasionally employment. Never adept at ordinary life, he opted instead for an extraordinary one, taking up eccentric hobbies like low-budget movies, quasi-working gadgetry, and designing sarcastic low-budget board games before that was cool. Aaron is a comic book writer and editor whose works have appeared in various anthologies and independent publications. When he's not busy writing, he runs writing workshops for children at the local non-profit Story Planet. 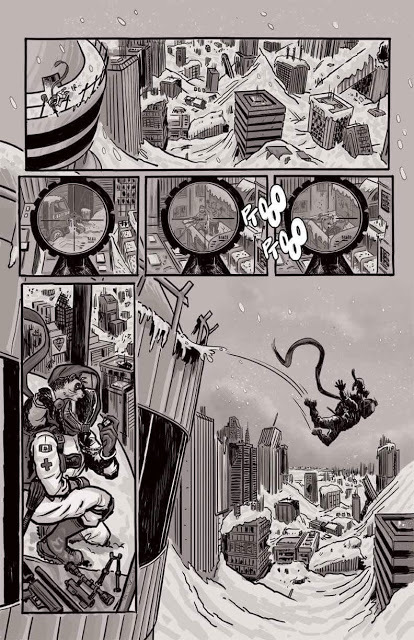 I am a comic artist and independent illustrator, with a strong interest in comics, videogames and animation. I graduated from the Seneca College School of Communication Arts, as well as the University of Toronto at Scarborough. I grew up wanting to become a game developer myself, and I was primarily interested in their use as a narrative medium. Credits include “Major North” in Toronto Comics Anthology Vol.2, Strange Romance Vol.1, Holmes, Incorporated (Issues 1-4), Fauntkin-Journey to the Electric Horizon, Adventures of Y-GUY(YMCA), Tights and Fights, and Heroes of the North. In addition to comic art, Christopher also works in portraiture, design, commercial art and murals. Steven Andrews is a soulless programmer in the social gaming industry, and loves narrative in all its forms. This Saturday from 12pm-4pm, we're hanging out at Paradise Comics in North York! Free buttons, free prints - come on over and say hi! We'll have Howard Wong, Shawn Daley, Aaron Feldman, Ryan Clement, Simon Phommaneth, Christopher Yao, and Steven Andrews occupying the store and signing books! Paradise Comics has a long and influential history in TO, and is the home comic store of many of our creators. We look forward to seeing y'all there!